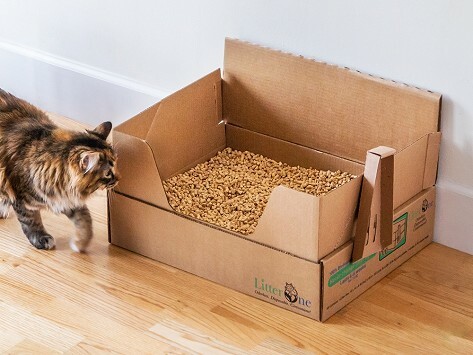 Litter One is a biodegradable, completely self-contained, disposable litter system for cats. 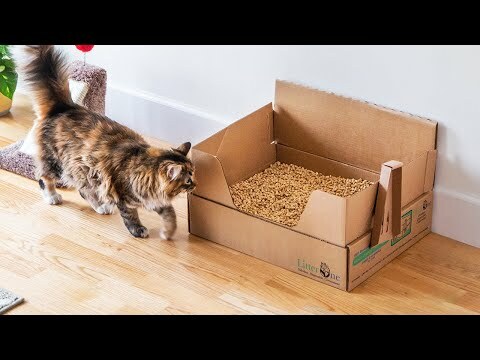 Each kit includes: litter box, pine pellet litter, scoop, and waste bags and lasts 4-6 weeks. No more stink or mess! So easy. The cats use it and no more clay litter everywhere. And no odor! At all! Love it! It really lasts a month or more for one cat if you scoop regularly. And no urine smell. Worthwhile as long as the price doesn't go up. I was about to get rid of our cats because they were leaving such a mess and stink with traditional litter and my dogs were getting into the litter too! It was hell. With three cats of her own and a father in the lumber business, inventor Natalie Robbins couldn’t help but notice the resemblance between the look of traditional clay litter and pine pellets. But the shape was where the similarities ended. While clay litter can be harmful to your cat’s health and anything but odor-free when mixed with urine, Litter One pine pellets are all natural and odor absorbing. No wonder Litter One passed our sniff test to emerge as one of 10 finalists in our 2014 Product Pitch contest.